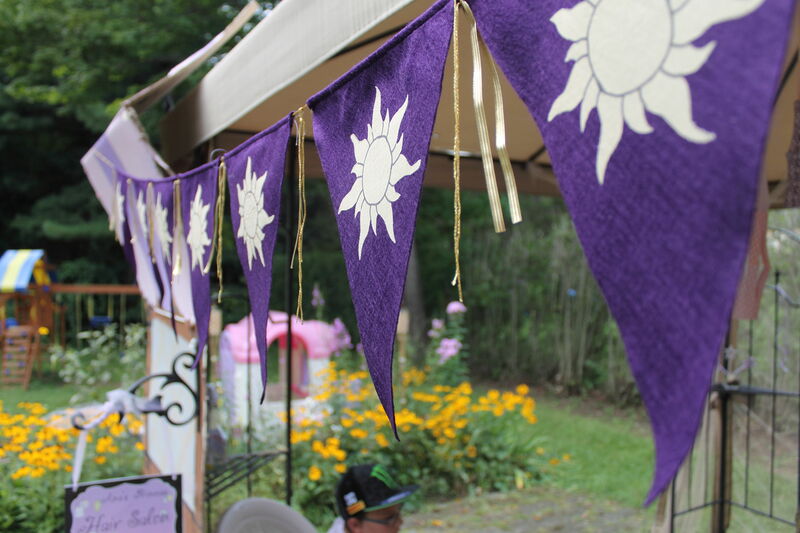 When my daughter shouted with glee that she wanted a “Rapunzel party” I was happy to do a princess party for her and was up for the challenge of making it a “Tangled” party without seeing the character’s face on every plate, napkin and banner. So I started by asking her what her favorite part of the movie was. She replied “when all the lanterns were up in the air”..so I LOVED how this connected to the meaning of the movie which was believing in your dream. 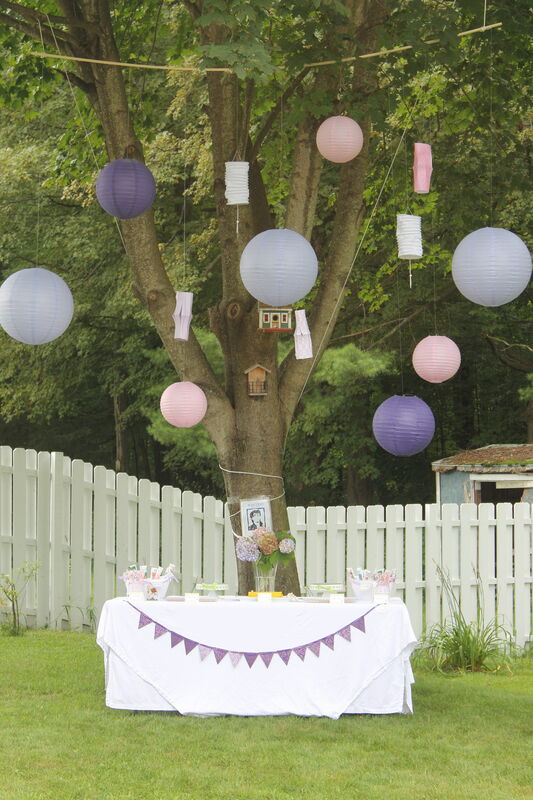 I ran with that thought and started by enlisting the very talented Kori Clark from Paper and Pigtails to design the party printables. She, of course, delivered on this request beautifully. 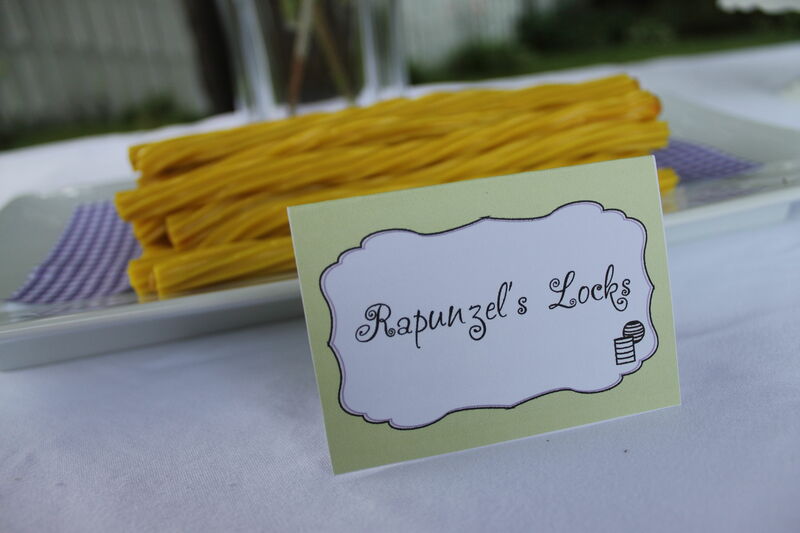 I began thinking up activites, and a few of them included a hair salon (to reflect when rapunzel had her hair braided in the town village), some games, a craft, and a balloon launch at the end of the party. For the balloon launch, everyone had a balloon at their place setting with a “dream card” tied to it. 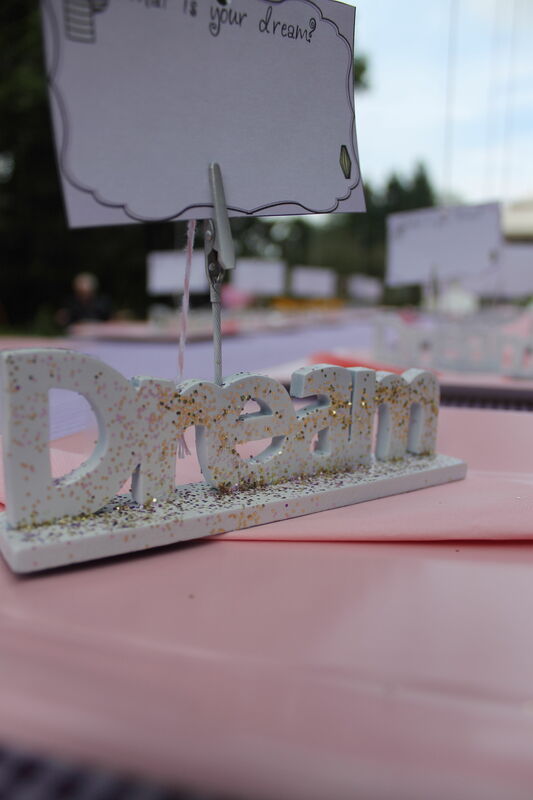 At the end of the party, everyoone wrote or drew “their dreams” on the card and we released them all together. 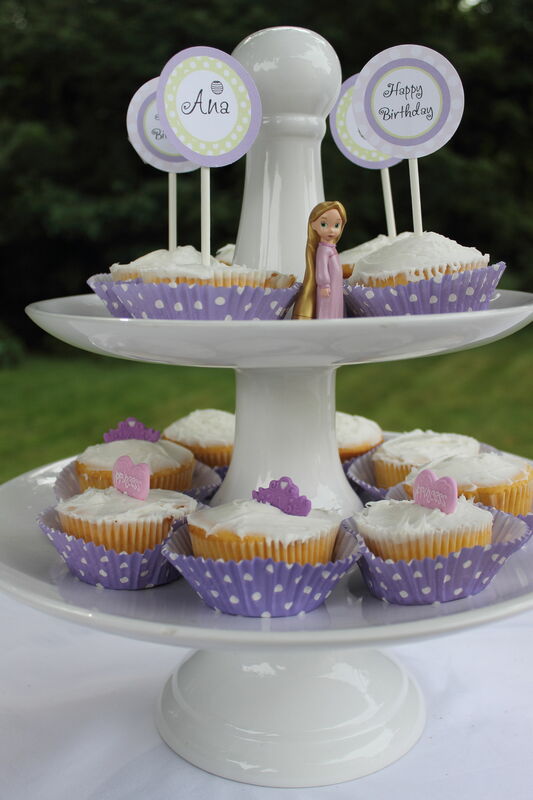 It was very sweet, and the best part of the party!